Catching up on last week’s progress. Turns out that the corn–6 ears for $1.oo was not so tasty. What did they do to it? Is it very old? You would think it would get moldy before it would taste that bad. 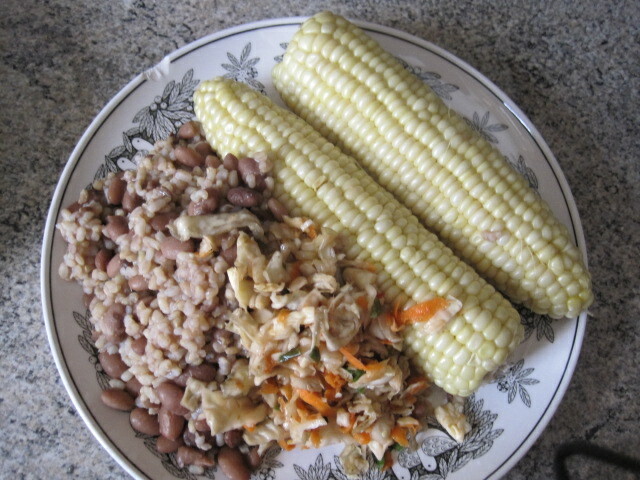 I tried to eat most of it because it’s all I got but it made me feel like I was eating feed corn. 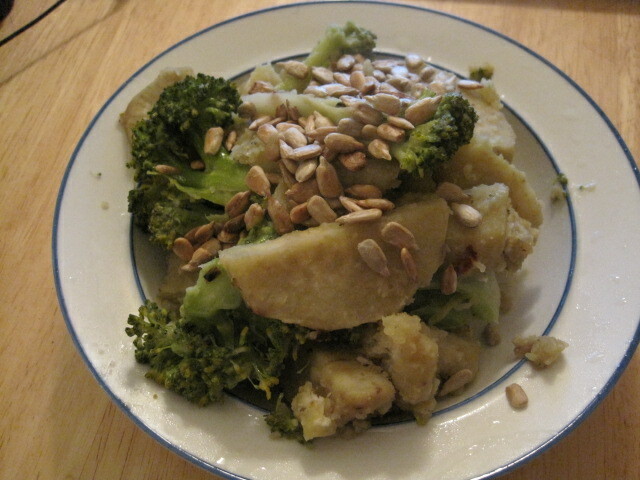 I cooked the sweet potatoes with the broccoli in coconut milk. The coconut milk was .99 a can from From Foods Co. I retained about a third of the can for another dish but really it needed the whole can to give the dish a little more moisture. I also pan toasted the sunflower seeds I got from Trader Joe’s for $1.49 per bag and sprinkled them on top. 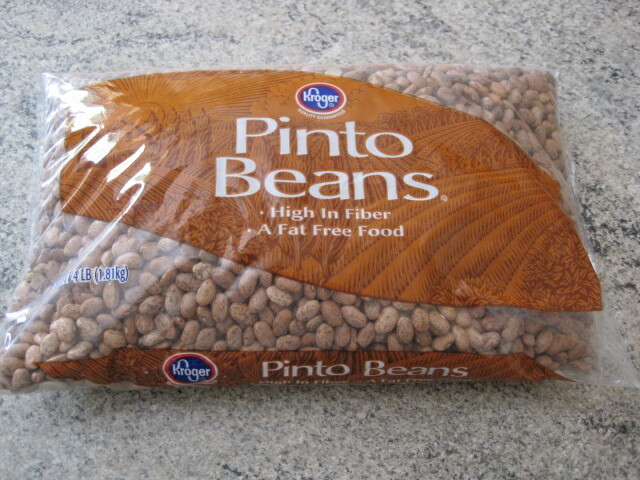 I missed a few days of recipes but I also have been eating pinto beans from Foods Co for $3.48 for 4 pounds. Two cups of beans cost me .70 and that gave me about 3-4 servings. I can definitely say that the pinto beans has been one of the most satisfying things I have made so far in this challenge. I just made a big ole pot of soup beans with pintos and some cornbread. Hard to beat.